Hello my friends!! 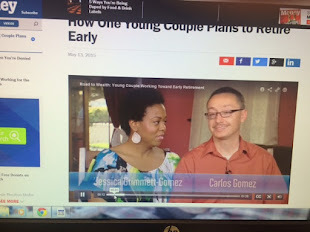 Here is an excerpt from my ebook Common Core Money on the benefits of having a Roth IRA. I thought I knew a lot about Roth IRAs but I came across a problem I hadn't encountered before. Find out how it was resolved below. Thanks for reading, amigos! I want to tell you about the investing benefits of using a Roth IRA. First, understand that there are rules you must follow. 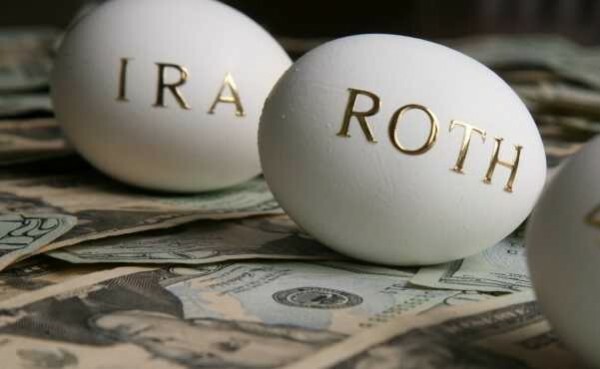 Taking full benefit of the Roth IRA means that you will not be able to tap into your account for needed cash until 59½ years of age. I mentioned above that it’s possible to pull out cash from contributions, but not from earnings. What this means is that if you plan to use your Roth IRA to invest (buy stocks, real estate, bonds, etc.) then you may produce income from the sale of these assets that you will not be able to pull out tax and penalty free until you’ve met the age requirement. Seeing 2013 was a year when a monkey clicking a button could’ve made money in stocks, I decided it was time to seek out greener pastures with my Roth IRA money. Expecting a repeat of 2013, when the S&P 500, the Dow, and the NASDAQ all hit incredible highs, was asking for a miracle of 2014. I looked into a crowdfunding (more on this later) venture that involved buying shares of a private Real Estate Investment Trust or REIT. There are risks involved with all types of investments. Knowing these risks (you can read about them in the investment’s prospectus) allows you to make a more informed decision. I decided to use $10K of my Wells Roth IRA cash to invest in the shares of this entity. Banks, like Wells Fargo and Bank of America, require a faxed request before transferring client money. I couldn’t just walk into the bank and tell the banker, “Please move this 10 thousand here, over there,” so to speak. Wells Fargo said no to me. “Why not?” I said to the Wells Trade representative. “It’s a self-directed Roth IRA,” I exclaimed. They were unable to hold this asset, these shares of a private company, in my Roth IRA. And if I weren’t persistent with my investing goals, this would’ve been the end of it. I couldn’t pass up the 5-7% return on my money, collecting the dividends from this company; not to mention the compounding that would take place with the re-investment of these dividends. I told the associate of the private REIT, the man I was working with on this transaction, what WF had said. He went to bat for me. He found out that regulations prevented WF from doing the deal. Banks don’t want to get sued by letting the investors on their books run loose directing their own IRAs on what they consider non-traditional investments. They figure we aren’t sophisticated enough to make good investment decisions. They limit our risk taking, therefore, to traditional investments like equities. The associate of this private REIT, let’s call him, Uncle Warren, consulted with his associates and provided a solution to the problem. The answer seems trivial now but before he figured it out it was like a conundrum. All I had to do was open another Roth IRA! Not with a bank of course. Duh! He researched a few IRA companies for me and I selected one from among his findings. The downside to opening a Roth IRA outside of a major bank is that there are more fees associated with maintenance and transactions. Plus you have to keep a minimum balance (varies by company) in the account. This is the company I elected to go with: www.iraservices.com. Once I opened an account, I filled out and submitted a form directing IRA Services Trust Company to request a transfer of funds from Wells Fargo, and presto! I was back in business. With IRA Services, I can direct my money to be put to work buying real estate, real estate shares of a private REIT, and lots more. Here are the lessons I learned from this experience. One, the IRS doesn’t care how many Roth IRAs you have. They care that you don’t go over the maximum allowed contribution per year, tracked by your tax identification number. The rich know this. I didn’t at the time, but now I do, and this equates to access! Two, investing in private companies (if possible) run by a few wealthy individuals with more experience than you do gives you access to connections worth far more than the minimum required initial investment. I mentioned above that I invested $10K in this private REIT. The minimum amount was $5K. The investors who manage this company are worth millions! Five thousand dollars is a drop in the bucket to get these guys’ phone numbers. Third and last point to make is that you’re not going to achieve your investment/retirement goals by giving up. There are solutions to every money problem. If you don’t have the answers readily available, then investigate. If your investigation is inconclusive then find someone who can help. It’s so much easier now with social networking. The opportunities for the small investor have expanded. We are in a world where alternative investment opportunities come scrolling down your Facebook stream. Don’t just slide your thumb past these ads! Ask a question or make a comment. You never know, you may find yourself speaking to a multi-millionaire. 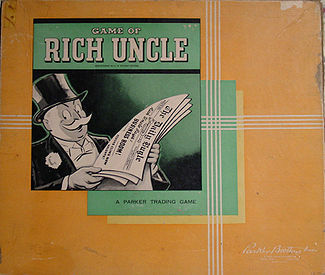 Note 1: The private REIT I invested with this year is www.rich-uncles.com based out of Newport Beach, California. And yes, their ad did come scrolling down my FB stream, like Johnny on the spot! Note 2: You generally have to start taking withdrawals from a traditional IRA when you reach 70.5 years of age.